At IES Training we take a proactive approach to training. Supporting an enhanced culture for learning ensures that challenges are embraced and staff knowledge and skills are continuously enhanced to improve their capacity and capability to carry out their duties professionally. IES Training Ltd is an approved educational assessment centre for awards on the Regulated Qualifications Framework (RQF). These qualifications are accredited by the Open College Network & the Security Training Authority. IES Training has been at the forefront of educational excellence and Enforcement Agent development for those involved in debt recovery and Enforcement for over 15 years. You can find out more about our training by contacting the team send us as email. Andy Coates has been in the Enforcement and Investigation business since 1988. He has worked as a bailiff and an investigator and also as a manager and director. He has considerable experience of enforcement and investigation work. Andy passed the examination of The Enforcement Services Association (ESA) and the entrance examination of The Association of British Investigators (ABI). He has the mix of both operational and managerial experience and skills. 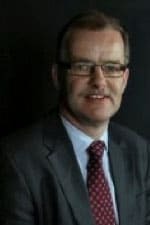 In his career his managerial positions have included the Enforcement Director at JBW Group, a Director of the Association of British Investigators, CEO at National Enforcement Services, Enforcement Manager at Drakes Group (now Marston Group), and Operations Director at DAC Bailiffs (now part of Philips Collections). Andy’s Bailiff experience includes every debt type from Commercial Rent and Arrest to High Court Writs. Andy is a former council member of the Civil Enforcement Association (CIVEA), and a former Governing Council member of the Association of British Investigators (ABI). 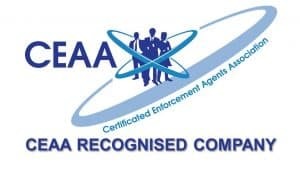 He is former President and one of the founding members of Certificated Enforcement Agents Association (CEAA). Karl Smith has over 20 years experience in the Enforcement industry in the private sector and the local authority sector. Karl gained an in depth knowledge of enforcement practices when working in the local authority sector, and gained board level experience within the private sector developing and implementing enforcement departments collecting all types of debt. In his varied career his previous positions include Bailiff Manager, General Manager, Commercial Director, and CEO. He is currently a consultant to the enforcement industry. 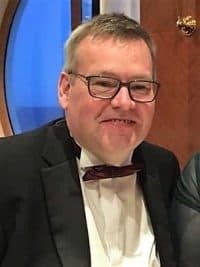 His wide experience was put to good use when he served on a committee working in conjunction with the Ministry of Justice developing standards for enforcement officers, and as a member of the expert working group developing the National Occupational Standards for Enforcement Officers. 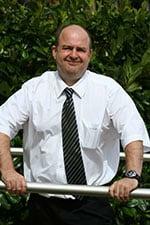 Daren Shaw is a highly experienced Civil Enforcement Agent with over 15 years’ experience. Daren started his career within Debt & Insolvency, managing teams across the Midlands and has considerable experience within the Magistrates Courts, High Court, Commercial Rent Arrears Recovery, Council Tax, Non-Domestic Rates, Lighthouse Duties, HMRC and the Child Maintenance Enforcement Commission. As a Director of a Civil Enforcement company. Daren prides himself on providing high quality training to ensure that his skill set is transferred to a new generation of Enforcement Agents; allowing them to excel within the Industry. Daren sits on the Executive Committee and is also the General Secretary of the Certificated Enforcement Agents Association (CEAA), Member of the Institute of Conflict Management and can often be found rendering help and advice to Enforcement Agents across England and Wales via the forums and sites he administers alongside Andy Coates.